Published: Dec 16, 2018 - Modified: Apr 17, 2019 - by Chef Rodney - 4 Comments - This post contains Ads & Affiliate Links. 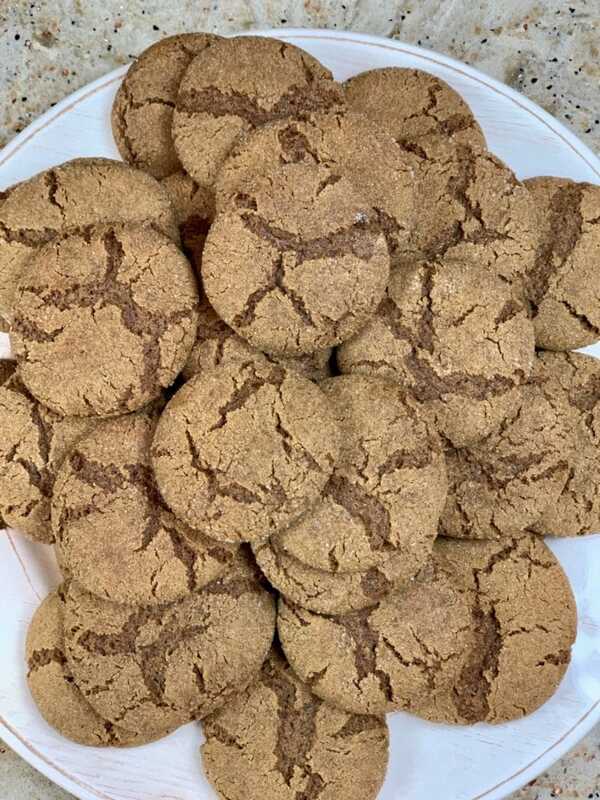 One of the many reasons I love the Holidays is for all the awesome baked goods we get to make and eat.And one of my Holiday favorites are these Gingersnap cookies. 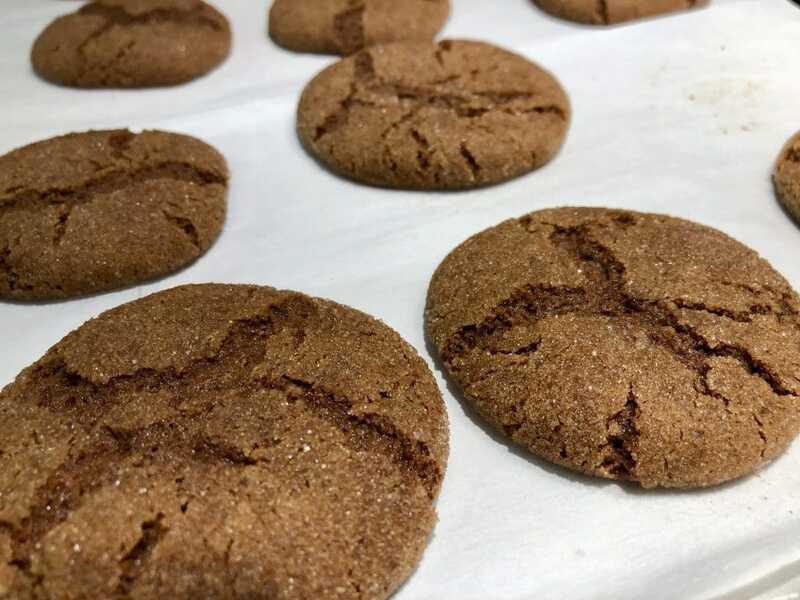 There are a few different methods for making a good Gingersnap cookie, but this particular recipe is my favorite. What I really like about this recipe is not only the awesome flavor, but the texture. 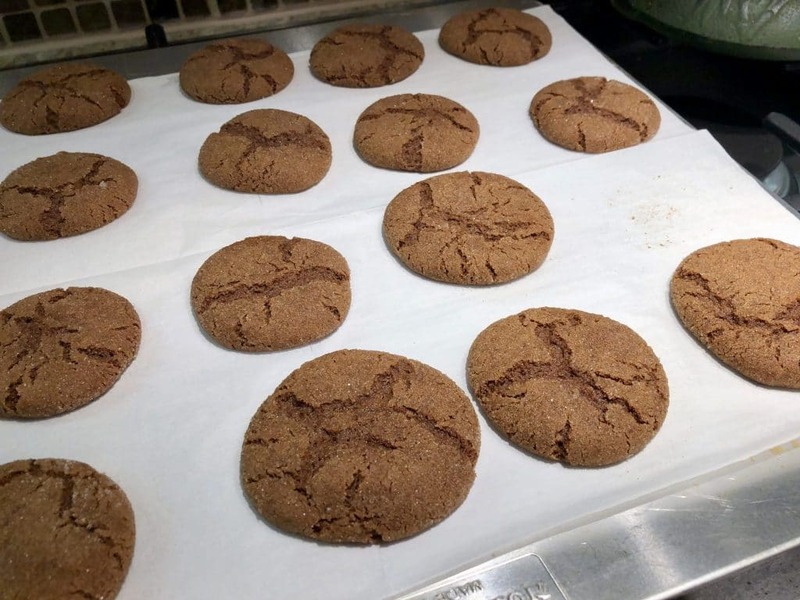 The end result is a thin but flexible cookies with a somewhat moist center. I recently made a batch and they were gone within 2 days! Just make sure you keep them in an airtight container – assuming you don’t eat them all at once! Sift together the flour, baking soda, ginger, cinnamon, cloves and salt into a bowl and set aside. In a large mixing bowl, cream the shortening and brown sugar until light and fluffy. Add the egg and molasses and beat well. Reduce the mixer to low speed and gradually add dry ingredients beating well. Form a ball with the dough and wrap it in plastic wrap. Refrigerate for at least 30 minutes until the dough is firm. Preheat over to 350°F. Line baking sheet with parchment paper. Tear off pieces of dough and form golf ball sized dough balls. Roll the dough balls in sugar and place them about 2 inches apart on the baking sheet. Bake the cookies until the flatten. Depending on your oven this should take 10 to 15 minutes. The tops of the cookies will be deeply cracked and the centers should be somewhat soft. Remove from oven and let the cookies cool for 5 minutes on the baking sheet. Transfer to rack to cool completely. Keep Cookes in an airtight container. Any nutritional information provided on this site is an estimate and will vary based on cooking methods and brands of ingredients used. If nutritional information is important to you and your diet, please verify this recipe with your nutritionist. Tried this Recipe?Mention @Chef.Rodney or tag #HotRodsRecipes! Love these cookies. Easy to make and oh so delicious. These are super easy to make and really good. I’ve already made them twice this month and will be making another batch tonight.